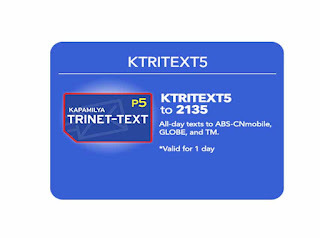 Since ABS CBN Mobile is now part of the Globe TRINET text offer, they have their own promo called KTRITEXT5. Where you can text all day to Globe, TM and ABS CBN Mobile network for only 5 pesos. A very affordable offer that you can load to your account if you want to communicate with your friends and love ones who are using three networks mentioned. If you’re on a tight budget, this promo is recommended for only P5 with 1-day validity. 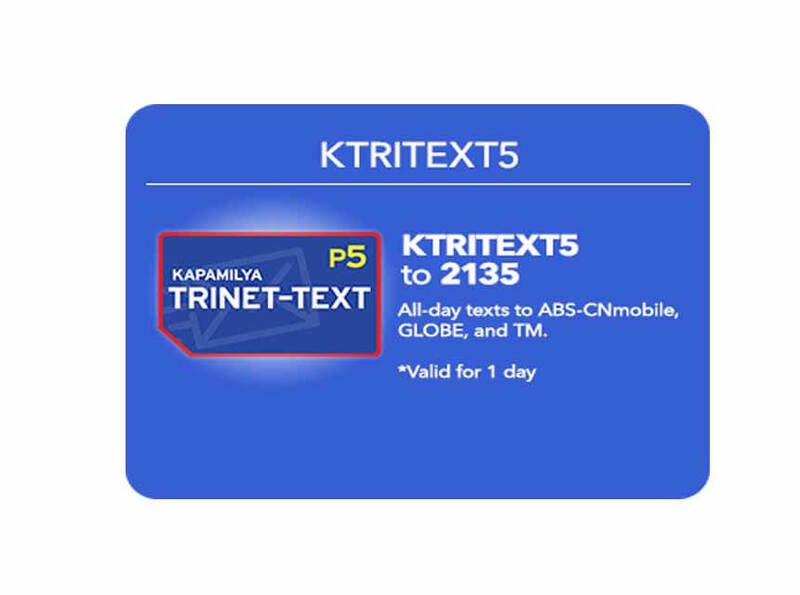 To subscribe to the ABS CBN Mobile KTRITEXT5 you can use the keyword and send it to network access number or you can load directly at your nearest load retailer and stores like Ministop, 711, SM and more. Follow the mechanics below to register via SMS text. You can also avail this promo using your ABS CBN mobile SIM by dialing USSD code *128#. They also offer unli tri-net calls and texts with KTRINET15 promo for only 15 pesos still valid for 24 hours. After successful registration, make sure you received an SMS notification before you start using the promo. If you have other queries about this offer, you can visit ABS CBN mobile website and social media accounts or call their hotline for assistance.